Can You Sell Or Buy A House Using Bitcoin? Is it Even Legal? Can You Sell Or Buy A House Using Bitcoin? Is it Even Legal? Can You Sell Or Buy A House Using Bitcoin? (Ep101) Is It Even Legal? Well there was recently a story of a person who was selling their home in Perth Hills, so in Western Australia, and they were only accepting bitcoins as the form of payment for this home. So this is potentially the first time in Australia that will be sold using bitcoin only and not actually being able to purchase this home in cash. 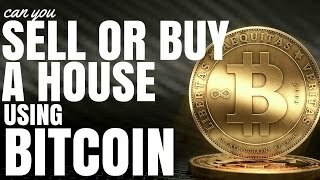 So it got me thinking can you purchase a home using bitcoin and should you go about doing it? Well obviously the answer to can you do it is yes. So what is bitcoin roughly? 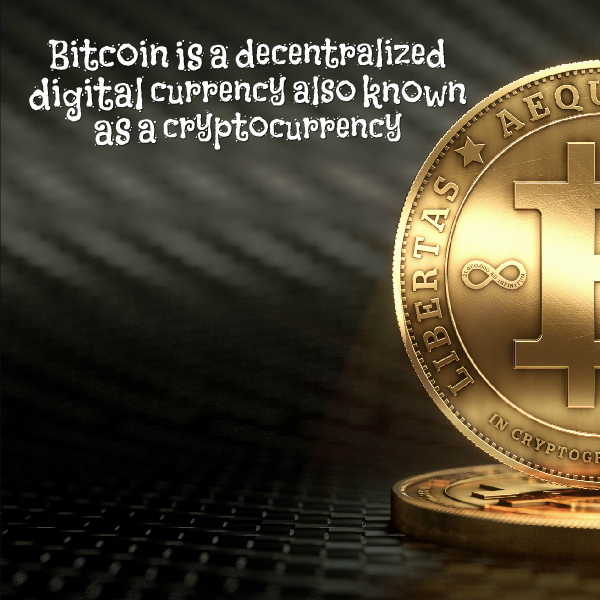 Bitcoin is a decentralized digital currency also known as a cryptocurrency and basically it’s created on the Internet and it was created using software. And bitcoin is designed in such a way that you don’t need banks to hold money, you don’t need to go through a central system like you do in Australia where you have to go through banks in order to pay people or through PayPal. It’s decentralized so you can send money directly from one person to the other which means fees are a lot less. There’s over one billion dollars of bitcoin currency in the market at the moment. So there are a lot of different exchanges out there. We can exchange money for bitcoins or bitcoins for your local currency.. But that’s a rough idea of what bitcoin is, if you want more information on that then I suggest you go to Google or you have a search in YouTube on what bitcoin is and what are the risks associated with it. I wanted to talk about some of the risk of bitcoin and firstly, probably what I would consider one of the major risks is the fluctuating exchange rates of bitcoin at the moment. Bitcoin stayed pretty stable in its exchange rate and the growth of that product in its early days but in the last twelve months it has gone from something like $10 per bitcoin to over $200 per bitcoin. But it’s not all happy days, is not just up up up up up because there have been instances where bitcoin has dropped dramatically in value. One of those instances was when China, the Chinese government, actually closed down a lot of the exchanges of a bitcoin and automatically overnight that product, the bitcoin, the exchange rate almost halved. So fluctuations in exchange rate are extreme and that is a risk if you’re going to be buying or selling a home using bitcoin. There was recently a story of Mount Gox where there was a robbery of bitcoins worth $470 million. So someone came and obviously robbed all these bitcoins in huge value and all that information on that is blowing up on the web at the moment. There was also a story of a guy who had thrown out a hard drive probably a year ago or couple of years ago but now with the value of bitcoin he realizes that there was actually over $14 million in value in bitcoin on that hard drive but he had thrown it away. So if you’re storing bitcoin on your computer or your hard drive and it crashes, well it’s going to be pretty hard to access that. So that’s a risk as well. And then lastly, you’ve got risk of hackers. A lot of the bitcoin exchanges that have come up to help people I guess use bitcoin have been severely attacked by hackers. And obviously people want to come in, they want to get access to the bitcoins and they want to steal them and have that money for themselves. So there’s always the risk of hacking as well. Why Bother Selling Your Home Using Bitcoin? So now that I’ve scared you with all the risks of bitcoin I want to ask you when it comes to selling your home using bitcoin or buying a home using bitcoin at this point in time in 2014 why bother? What is the point? While selling a house using bitcoins likely going to get you some press it’s unlikely to attract many buyers. Think about it in your life, if you’re flicking through realestate.com.au or you’re flicking through domain.com.au and you see a house and you like it and you’re “Ok yeah, I might end inspect that property, that could be something that I like” but you see in the listing will only except bitcoin as payment. So I think bitcoin is not mainstream enough, there is not enough of people who are confident in the currency and happy to use the currency that it would be worthwhile for your standard home seller in Australia to try and sell their home using bitcoin. Now you could offer it as an option, maybe you can purchase it using cash or you can purchase it using bitcoin and maybe that opens you up to some press and maybe some extra buyers but realistically if you’re just saying you can only buy using bitcoin, my thoughts are that you are going to close off a lot of your potential buyers and that is actually going to make it harder for you to sell your property.